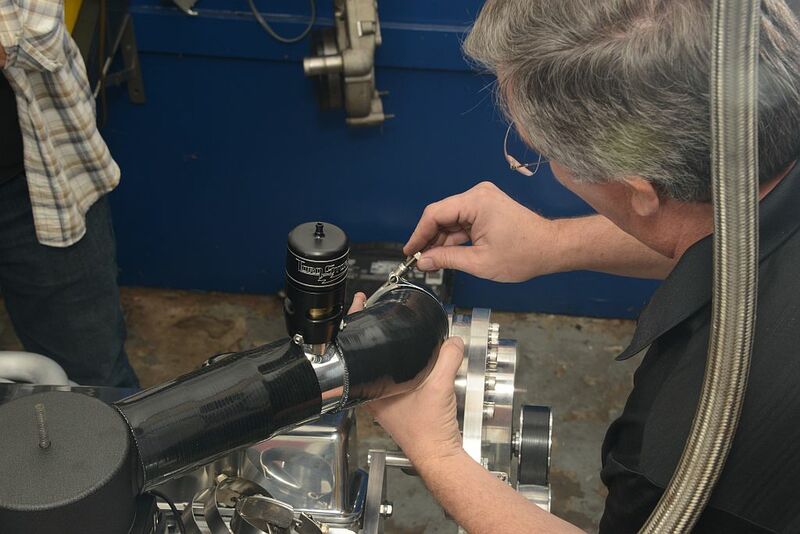 Early in the winter of 2015, Pace Performance of Boardman, Ohio, initiated a dyno test to ascertain the merits of the TorqStorm supercharger. Keen to learn how it would perform against a known rival, they promptly dispatched a 383cid small-block Chevrolet to the premises of Lamar Walden Automotive in Doraville, Georgia. A new structure with dynamic looks, the Torqstorm was designed for stock or mildly tuned engines. 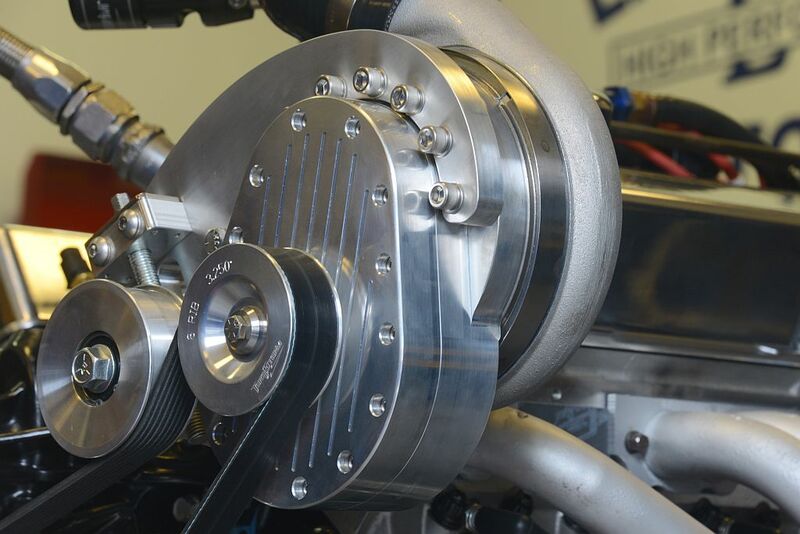 It generates 6-8psi boost, averages 40 percent power increase over base and supports 700-plus hp. The 383 was a crate engine from BluePrint Engines and its part number, BP38316CT1, indicated the unit was specifically designed for power-adders. 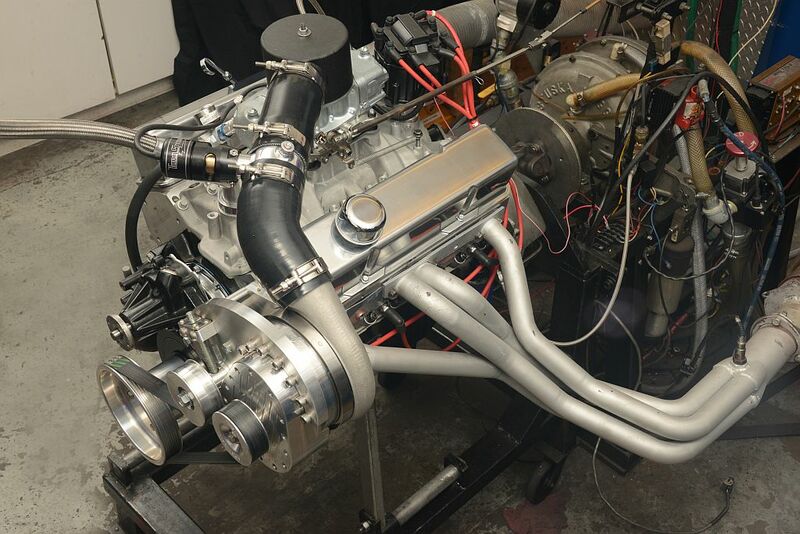 Over at Lamar Walden’s, the 383 with a 750cfm Demon Blow-through carburetor is attached to the dyno. 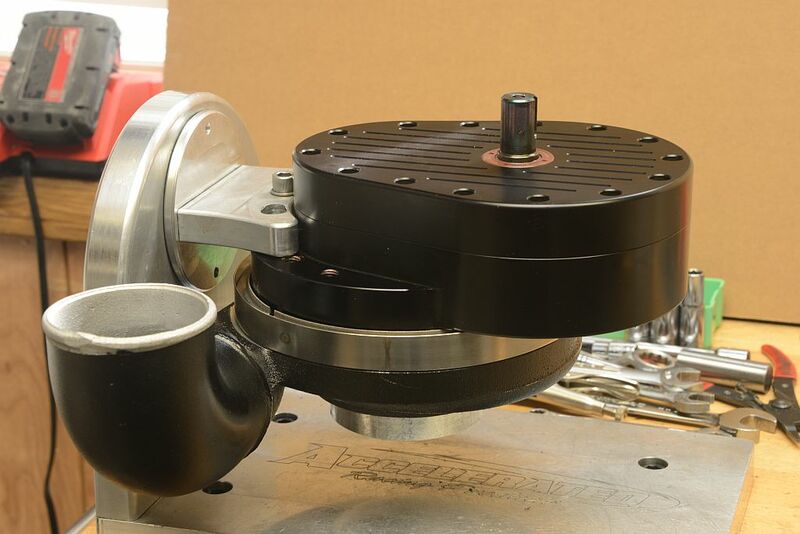 A crankshaft drive pulley and spacer are attached to the harmonic damper. Then the ¾-inch-thick TorqStorm billet bracket is installed on the left cylinder head with three accompanying spacers and a backing plate. The supercharger is secured to its robust bracket by seven socket head bolts. And then there’s the 8-rib serpentine belt, which is fitted and tensioned by a simple hand-adjusted idler. Thereafter, a small-bore hose is connected between the boost-reference port on the blow-off valve and the carburetor. 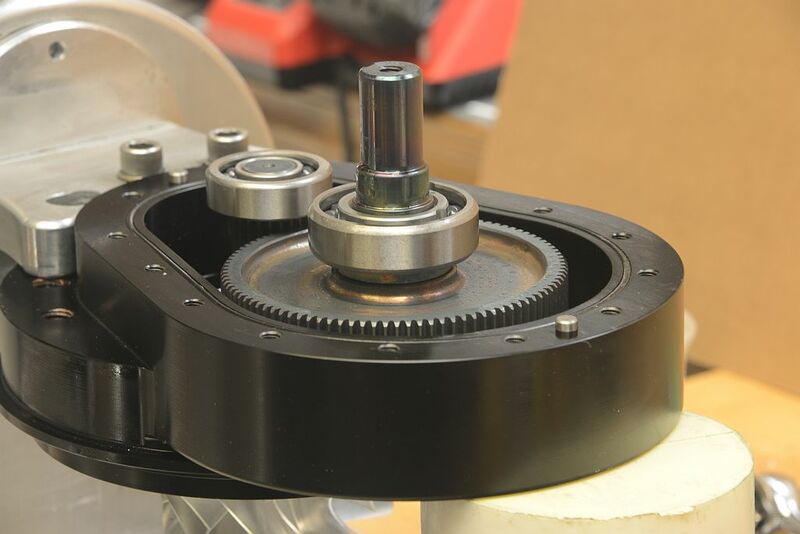 To apply belt tension to the crank and gearbox pulleys a simple self-adjusting idler wheel is moved downward. 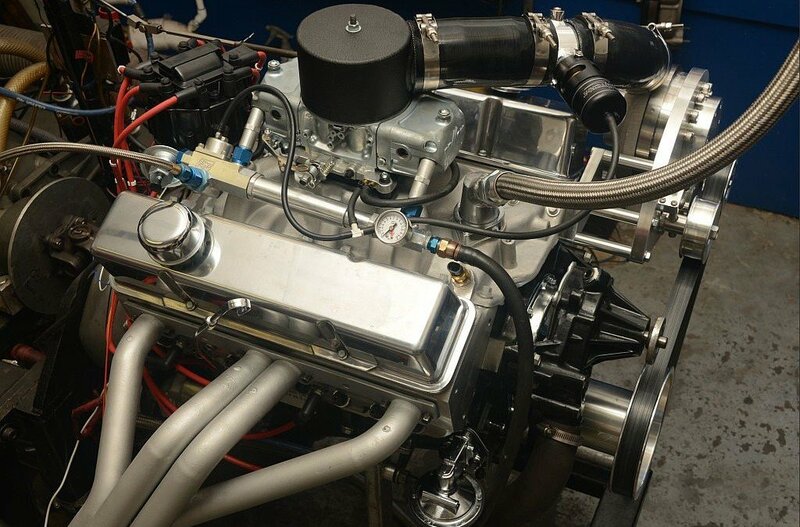 All that remains is to install the hat or bonnet on the carburetor and to connect it to the supercharger with the two large-bore discharge tubes supplied with the kit. Positioned between the discharge tubes is the inline blow-off valve, and tightening the 4 stainless steel hose clamps completes the arrangement. Vacuum-controlled blow-off valve serves two purposes. It allows boost to occur only above light throttle when vacuum falls to a pre-set level. Second, it releases excess boost to prevent damage to the system should the throttle abruptly close on deceleration. 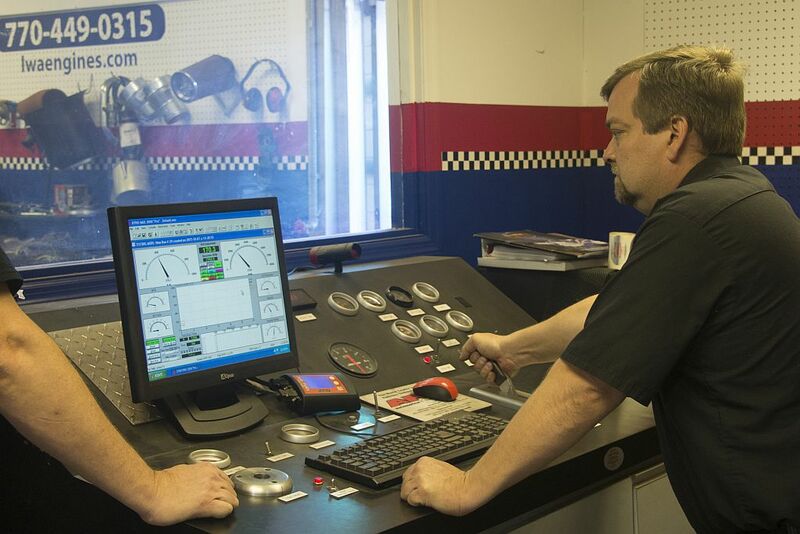 In the dynamometer room, stood Rob Walden, who has been supervising and testing high-performance and competition engines and engine parts for 25 years. The tests would include, first, confirming the power output of the naturally aspirated BluePrint 383 engine. Second, they would assess the TorqStorm supercharger and, third, repeat the process with a Vortech unit. Earlier, the BluePrint small-block sustained two days of comparison tests. The directive from Pace Performance also included exhaustive trials with supercharged EFI units—none of which, by the way, matched the performance of the blow-through carburetor. Supercharged engines generate higher combustion temperatures and therefore run spark plugs that are one or two steps colder to deter detonation—depending upon the amount of boost employed. 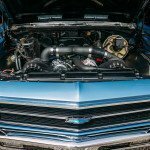 Commonly, supercharged engines run higher combustion temperatures than their naturally aspirated counterparts. Thus, spark plugs are usually one or two steps colder for the former to deter detonation, depending upon the amount of boost. As you might expect, the dynamometer preparations for the tests were routine: crank-up the engine and allow it to reach normal operating temperatures—coolant around 180 degrees Fahrenheit, lubricating oil over 100 degrees and ignition timing checked, which had been set to 32 degree total. After the first dyno pull, the spark plugs were removed for visual checking. For testers adept in spark plug reading, old habits are hard to break. 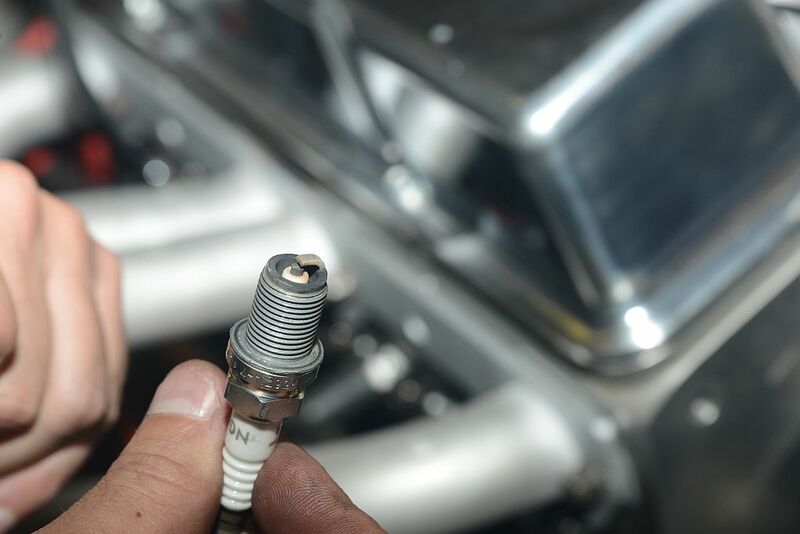 Accurate spark plug readings indicate how the air-fuel mixture is burning in each cylinder, a handy skill to hold in reserve, especially when a problem arises and quick, empiric information is needed. The Vortech performed with gusto but it was the early power delivery from the TorqStorm that brought out the most admirable quality. 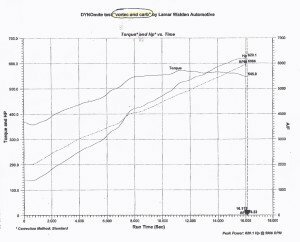 Inevitably, the dyno tests began by confirming that the 383 BluePrint small-block breathing at atmospheric pressure made 436hp and 460lb ft torque at 4300rpm. 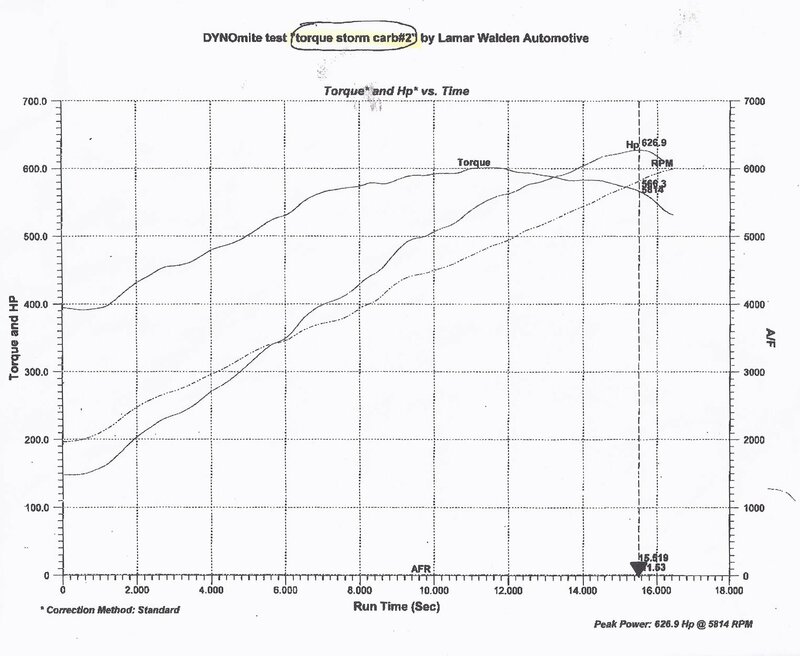 But when the TorqStorm was added it generated 627hp—an improvement of 191hp—with 566lb ft torque at 5800rpm and showing a flat curve on the graph. 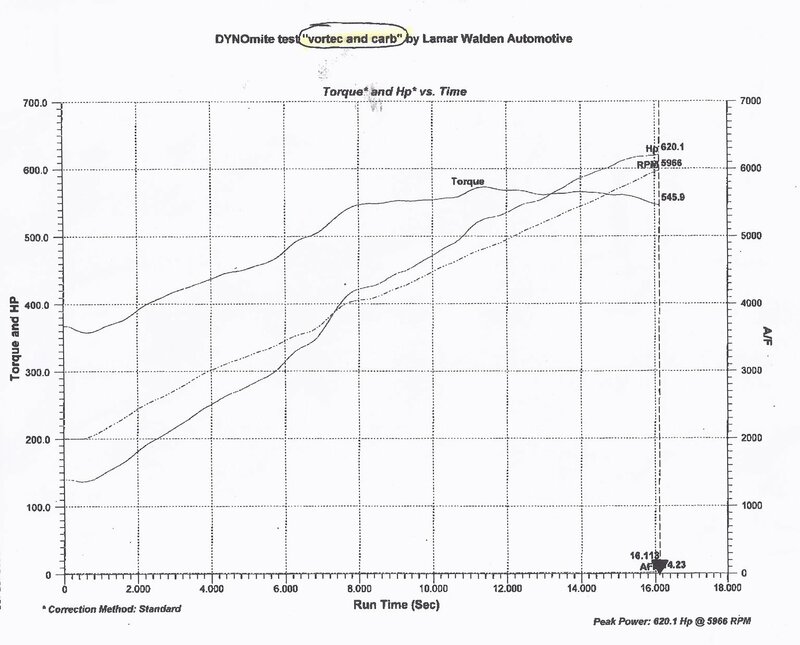 Though the Vortech generated a promising 620hp at 6,000rpm, its best torque delivery measured 546lb ft. But the best part was the TorqStorm’s ability to generate 400lb ft torque at 2000rpm; its rival reached 400lb ft at 2500rpm. 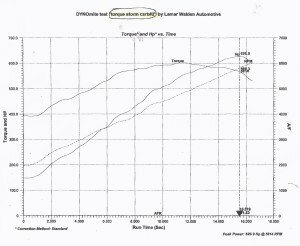 At 3000rpm the ‘Storm generated 484lb ft compared to the Vortech at 436 and as engine speeds increased the deficits slowly diminished to around 10lb ft at 5800rpm. Nonetheless, these were the auspicious symbols of an interesting comparison. This gearbox with its self-contained oil reservoir, straight-cut gears and ceramic bearings, drives the compressor wheel to speeds in excess of 70,000rpm. 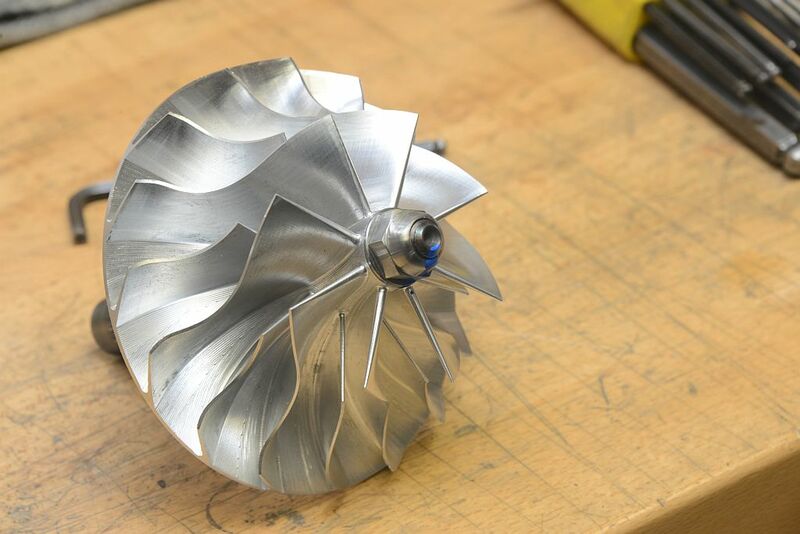 Compressor wheel comprises 16 blades; eight main blades with eight shorter splitter blades. 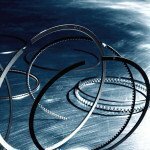 Their advance design introduces boost to the engine from 1,850 to 6,500rpm. 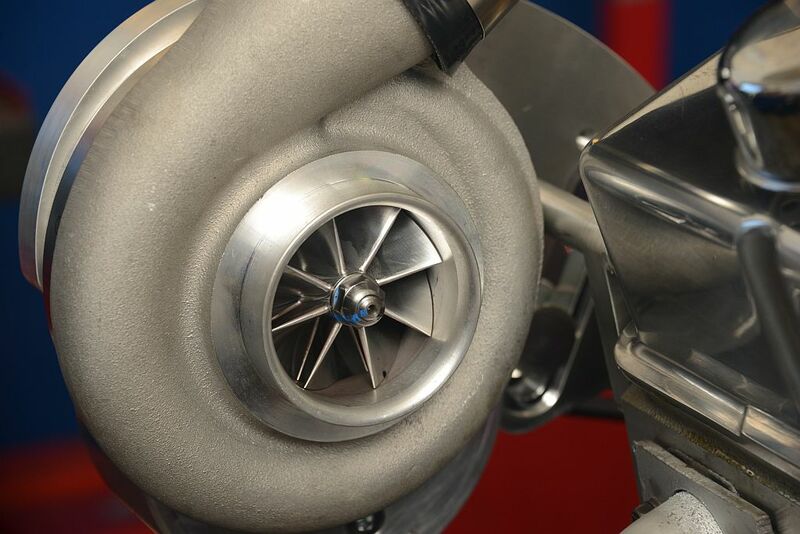 Air intake: Spinning at high speeds, the clearance between the compressor wheel’s complex curved edges and the compressor cover’s contours measures 0.022 to 0.024in when cold. Via the 8-rib serpentine belt, power is directed from an 8in crank pulley to this 3.250in gearbox pulley. Inside, a large diameter gear meshes with a smaller gear whose shaft spins the compressor wheel situated in the intake port. Inside the TorqStorm gearbox, the tolerance between the two shaft centers measures 0.0002in. 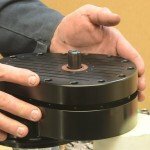 This chamber possesses its own dedicated oil supply and the inner perimeter O-ring seals the gearbox body to its cover. TorqStorm finishes their superchargers in natural alloy, black anodized or micro-polished and if someone were to ask me to name the single cleverest aspect of their new charger, I’d point not to the rigidity of its billet construction or the superiority of its ceramic bearings. I’d bypass the design mastery of its compressor wheel and its wide boost range, too, and point instead to its pricing: $2,800. 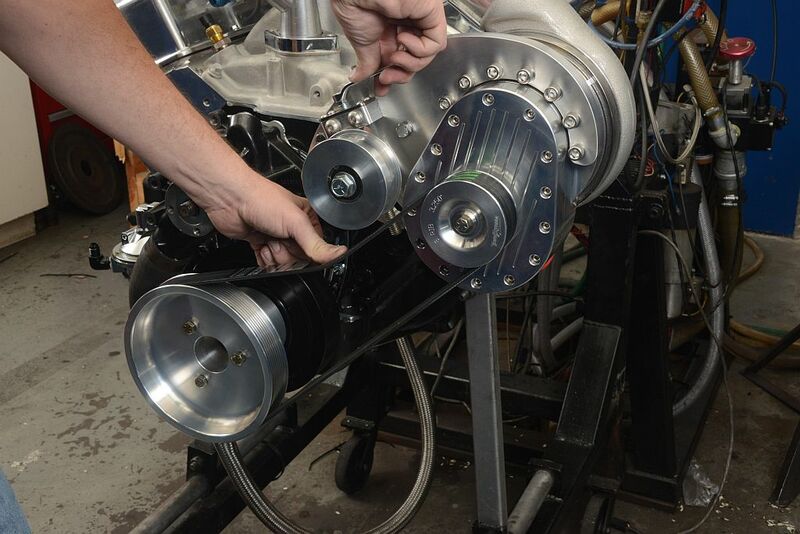 I would certainly like to receive a catalog/brochure on the superchargers; installation accessories needed to put your setup on a small-block Chevrolet engine and information on the quality of engine that is needed to support your superchargers. do you make this blower to for an older ford 289 with new afr heads and what comp do I need? Do you have a catalog and brochures? I have the same Blueprint engine that was tested with the TorqStorm. I’m considering changing from my current setup which is a Weiand blower setup and going to TorqStorm. My question is I’d like to put it on the driver’s side and am curious as to how the power steering pump mounts or if I need to change my bracketry with this setup? Also I’m curious if it works with the long-style water pump. Glad to hear you are considering a TorqStorm. As to your questions, we have drivers and passenger side mounting. It is also available for long or short water pump. The power steering will mount under the supercharger if you have 1969 or later Saginaw low mount pump. This would be what was on Novas and Camaros. Hey guys, great article. Do you have set up for a 2007 Mustang GT? Hello Robert. We do not build a supercharger for that Modular engine Ford. The engine is broad with a narrow engine bay shape. 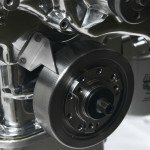 The supercharger typically mounts ahead of the belt drive system, and we do not have a supercharger that runs in reverse. This is a popular request, and it is not yet out of the question. We just do not have it planned as of now. Purchasing a LSX 376 B15 this month and was leaning towards the Procharger for it. Then I came across your LS twin kit. Do you have any dyno numbers for this kit on either the engine I’m buying or similar LS? Can the boost be turned up at all on your units? Hello Ben. At the moment we do not have results on a project like yours, although we have built a few LS twin sets for customers– projects which have not seen the road. 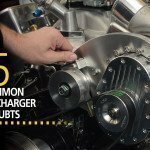 The single superchargers are close to 1300cfm and have pushed the 800hp level. A pair of them, while not doubling in power, should give you plenty of air to work with. If you want to discuss your specific project email me direct at sales@torqstorm.com and we can design a plan for you. 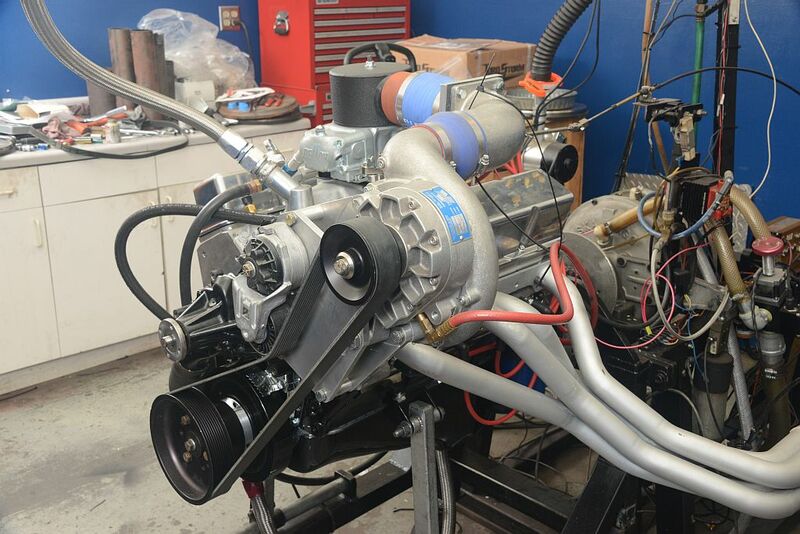 Have you have designed a TorqStorm supercharger for the 455 Buick engine. I see you have them for the 455 Pontiac and 455 Oldsmobile engines. Hello Wayne: We have a Buick 455 engine here, and that kit is steadily moving up our prototype list. However, we have a few ahead of it still. Nonetheless, expect to see our Buick kits early next year.